As always, Deanna Raybourn’s opening lines both grab us. I can no more not read on than I can stop eating a delicious meal after the first taste when I am starving hungry (or, if I am honest, the rest of a bar of chocolate) (at least being a Deannaholic isn’t fattening!). They also – the first lines now – encapsulate the attitude of the heroine to the situation she finds herself in when the story opens. ‘I am afraid we must settle the problem of what to do with Theodora,’ my brother-in-law said with a weary sigh. Theodora’s brother-in-law and married sister feel that they are responsible for her now her father has died and left her with little more than debts and the clothes she stands up in. Theodora doesn’t see it that way. Having published a few stories, she dreams of writing a successful novel and so establishing her independence. And she intends to write it not in the north of Scotland, in her sister’s home, under the watchful eye of her very Victorian clergyman brother-in-law, but in Transylvania, in an ancient castle set high in the Carpathian Mountains. She has been invited to stay at the castle by an old school friend of hers, an invitation she now suddenly feels free to accept. The castle belongs to her friend Cosmina’s cousin, the young Count Andrei Dragulescu, who seems to have inherited, along with the castle, full feudal rights over not only the other members of his family but the whole population – mostly peasants – of the surrounding country. The peasants, of course, are superstitious – but then so are the peasants in Scotland, laughs Theodora, to whom tales of vampires and werewolves are simply a thrilling inspiration for her forthcoming novel. How can she possibly fail in such a setting? The reality turns out to be rather more than she bargained for. Especially the Count! Apparently the old Count really was a vampire, and even now walks the night. Does his handsome, sophisticated son – just back from Paris where he lived for years in the company of such as Beaudelaire – take after him? 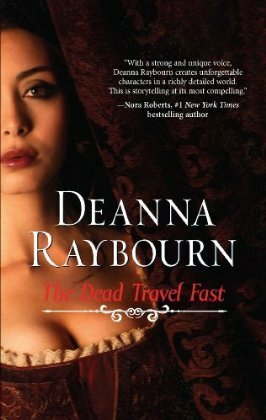 Written in the elegantly irresistible manner we have grown accustomed to from Deanna Raybourn, this book is a welcome change from Lady Julia Grey and the Silent in the Grave series, but a one-off (I suppose – I do not see where Deanna can go from here with Theodora). Now, having enjoyed the change, I am looking forward to the next (please, let there be one!) Lady Julia novel. Lady Julia Grey (one of my favourites) is back again, and this time she is in India and the year is 1889. A book seemingly designed for me! Since the first sentence of the very first book, the opening lines of this series have been stunning. You are hooked at once. And as you see, this one lives up to our expectations, and continues to do so right through to the closing sentence – which I will not give you here! What has happened is this: Lady Julia and her half-nobleman, half-gipsy husband are nearing the end of a long and idyllic honeymoon on the Mediterranean when her sister Portia and brother Plum catch up with them in Egypt and manage to persuade the reluctant couple of newly-weds to accompany them to India where the unlovable husband of Portia’s close friend Jane Cavendish has died, and Portia – for no particular reason, it seems – believes him to have been murdered. Now Jane is alone and out there in the foothills of the Himalaya, and expecting a baby. All right, Portia’s woman’s intuition is something Julia is inclined to take fairly seriously, but it is not enough to make her and Brisbane abandon their earlier plans and accompany Portia and Plum to India. Not, that is, until Portia adds that Jane’s late husband’s huge estate and tea-plantation is entailed: it will pass to Jane’s son if she has a son, but if she has a daughter it will pass not to her but to the nearest male heir. Which means that if the husband was murdered then another murder is on the books. They go to India. I enjoyed this story quite as much as I did the others and found the various Indian (and Anglo-Indian!) characters and its whole depiction of life in Victorian rural India completely convincing and understandable. I also very much approved of and appreciated the quotations from Rabindranath Tagore which appear at the head of each chapter. 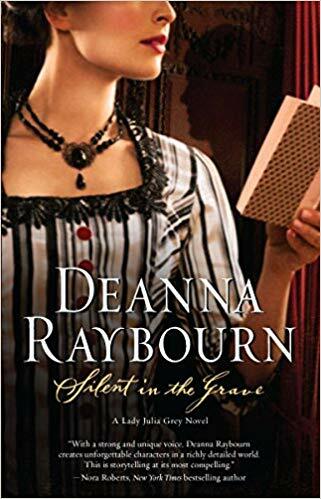 Tagore was a wonderful writer (and a Nobel Prize winner) and Deanna Raybourn brings him to the attention of people who may never have heard of him. For any readers of this blog who are unacquainted with his work, let me quote here my own personal favourite lines, from his Gitanjali. 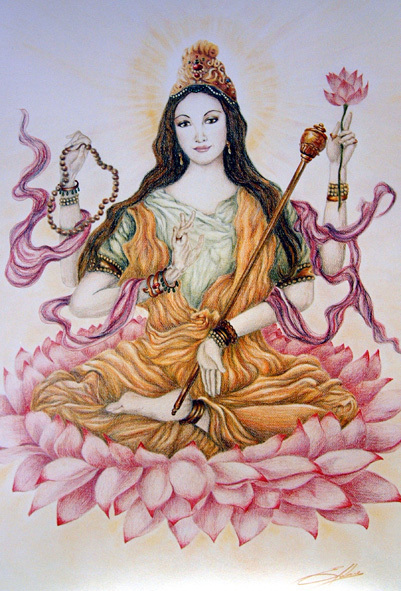 When I try to bow to thee, my obeisance cannot reach down to the depth where thy feet rest among the poorest, the lowliest, and the lost. Pride can never approach to where thou walkest in the clothes of the humble among the poorest, the lowliest, and the lost. I stared at him, not quite taking in tha fact that he had just collapsed at my feet. He lay curled like a question mark, his evening suit ink-black against the white marble of the floor. He was writhing, his fingers knotted. What is more, in those few lines, you have the story – and the series – in a nutshell; for this “gentleman” is Nicholas Brisbane, a private investigator retained by her husband when he started receiving threatening quotations cut from (of all places) the Book of Psalms, the victim on the floor is said husband, and the twittering dumb blonde narrator is Lady Julia Grey, whom her husband had (understandably) not bothered to inform about either the threats or the investigator. Fortunately, Jula turns out – once liberated from the confines of Victorian marriage to a man with no interest whatsoever in her – to be far from dumb. When Brisbane tells her who he is and why he is there, and that he believes her husband to have been murdered, she sends him off with a flea in his ear. But a year later, when her period of strict mourning is over, she begins to sort things out, and promptly finds one such threatening quotation, cut out of a Bible and hidden in a drawer. She rushes to Brisbane – whom she has never forgotten (he is very attractive, tall, dark, strong and mysterious) – only to find that he is no longer interested in either her or her dead husband. In Silent in the Grave, we also meet Julia’s father, the Earl of March (a particular friend of the Queen’s) and various other members of Julia’s family – all eccentric and entertaining. In Silent in the Sanctuary, the second in this new series, we get to know them all. It opens in Italy, where she has spent several months in the company of two of her brothers, one a musician and the other an artist. Lysander, the musician, has clandestinely married an Italian girl and must now return home to his father the Earl – who provides him with the allowance on which he lives, literally, like a lord – and face the music. They return to England all together, planning to spend Christmas at the ancestral home – and there Julia finds that Nicholas Brisbane, from whom she heard nothing during all the long months in Italy, has also been invited for the festive season. Then a guest is murdered – in “the sanctuary”, the old chapel dating from the days before the Reformation when their home, the Abbey, really was an abbey. Julia and Brisbane find themselves working together once again. 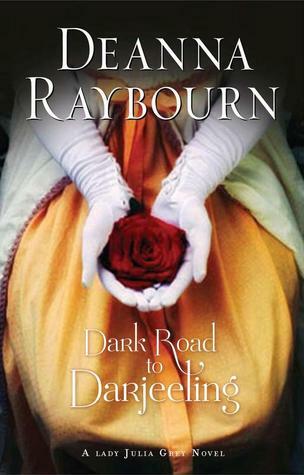 A wonderful combination of historical romance and detective story, beautifully written and perfectly set in its period. Don’t miss it, whatever your favourite genre or period!